Ta ditt pass och gå över gränsen till Serbien på den här helgedagsturen på Nis från Sofia. Lär dig om det tidigare Jugoslaviens turbulenta historia när du besöker Nis koncentrationsläger; besök stadens sevärdheter inklusive de romerska ruinerna av Mediana, Skull Tower och Nisava Riverfront; och prova utsökt serbiskt kök med lunch (egen kostnad) på ett lokalt grillhus. Excellent tour even though it is a bit pricey, but I am the only person so it is worth it. The newly constructed road to Nis is breathtakingly beautiful in autumn! 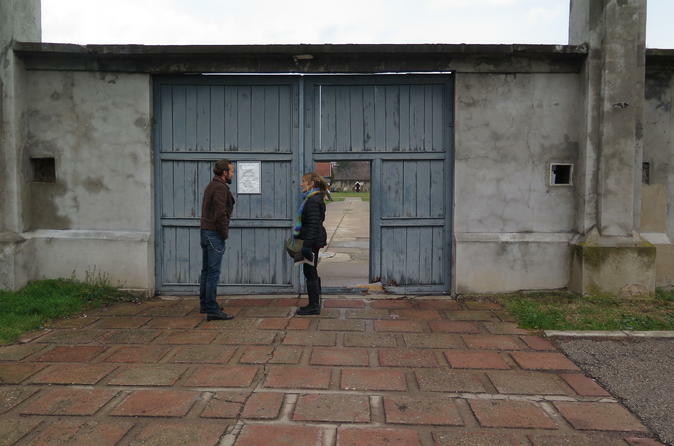 Red Cross Concentration Camp...which I had never heard of before,was moving and worth the day trip to Serbia. This was a good trip to book. I would never want to plan a trip to Nis on my own since I do not know the language. The only issues I had was that we booked this trip for a Saturday and half the places that this trip promised to take us were closed. We still got to see the city itself but I wish they would of at least given us a heads up on what would be closed. We are very dissatisfied about the Nis day trip from Sofia. This was a complete waste of our time and money, and a very harassed trip for the following reasons. 1-There was no information about the fact that there are extraordinary long waits when crossing back to Bulgaria from Serbia in the afternoons. Our guide was well aware of this and in fact mentioned that and I quote if they hate someone they should send them out on a trip to Nis! During our trip back at the immigration check post, we had to wait for 2 hours in the sweltering heat with no air conditioning since the car would get heated up. From our driver and guide we came to know that this was an everyday occurrence for this tour during these months! We were very disappointed that this information was not made available to us. If we had known we would not have booked this trip, since I am allergic to the heat. I was sick that entire evening, with fever and discomfort due to exposure to the excessive and constant heat, with no a/c for a long time, something that we could have easily avoided had we been warned. 2-There was no information that there is actually no tower and very few remaining skulls in the skull tower. My sole reason for booking this trip was to see a real skull tower. It was very disappointing to see no tower a 6 ft broken wall can hardly be called a tower!!!. There were barely any skulls on the walls and our guide told us that this was the case for a long time. Apparently, people stole all the skulls, but strangely this is not mentioned in the description. This is misleading customers and very unethical. This was not the experience we had paid for. 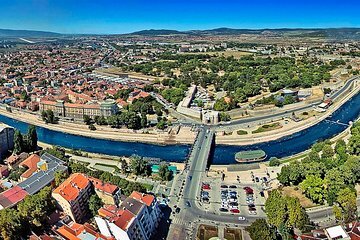 This tour is excellent opportunity to visit Serbia in one day. Nis left pleasant impression and a road to it has very scenic views. Our driver was friendly and sociable person with decent knowledge. Great trip and extremely knowledgeable guide. It was good value for money and I definitely came away feeling I had learnt more about the Balkans. A good way to spend a day away from Sofia. There is not a lot to see in Nis, but it is a worthwhile day trip.